A woman who lost her arm over 20 years ago has received the first portable bionic hand, which through a series of tiny electrodes and sophisticated sensors, has restored her sense of touch. The technology unites the portable bionic hand with a computer that translates the information coming from the artificial fingers into a language the brain can understand, which it then sends back to the body through the electrodes. This breakthrough is the result of many years of robotic research carried out by teams in Italy, Switzerland, and Germany. Even though she’s central to this amazing innovation, Almerina Mascarello, who was chosen to test the prototype for six months, doesn’t feel like a superhuman. Instead, she told BBC that the prosthetic limb gave her back some of life’s simple pleasures, such as getting dressed or tying her shoes with no help. “All mundane things, really, but important. You feel complete,” she said. 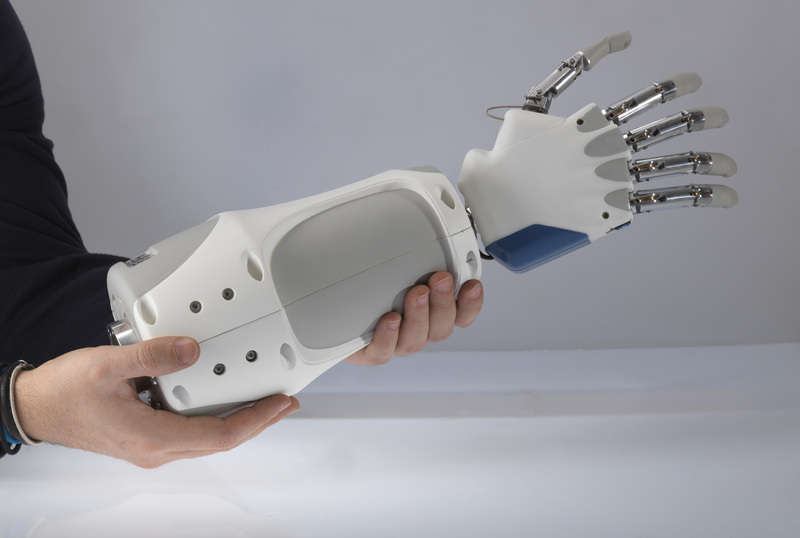 The technology underpinning the new bionic hand was developed in 2014, but at the time, the equipment necessary to support it was so big the prosthetic limb could not leave the lab. Researchers found that Dennis was able to distinguish between a hard, soft or medium object in 78 percent of cases. In 88 percent of cases, he could correctly describe the size and shape of specific objects such as a baseball, a glass, and a tangerine. Three years later, Almerina has been given the same ability just by carrying a small computer in a backpack. As exciting as the development is, Almerina had to give back the prototype after the six-month trial. Still, she hopes that once even more portable hands are developed and eventually commercialized, she’ll get to keep one for good.